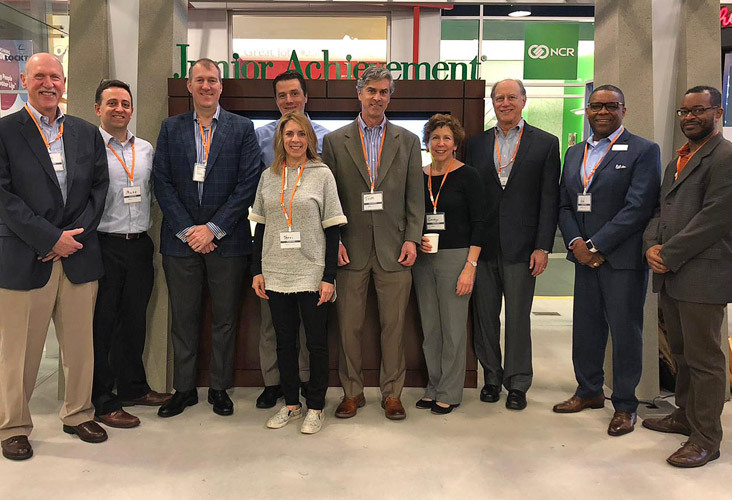 Ten alumni from the HBS Club of Atlanta spent a day in early February mentoring and coaching 70 middle-schoolers as they learned how to launch a small business. 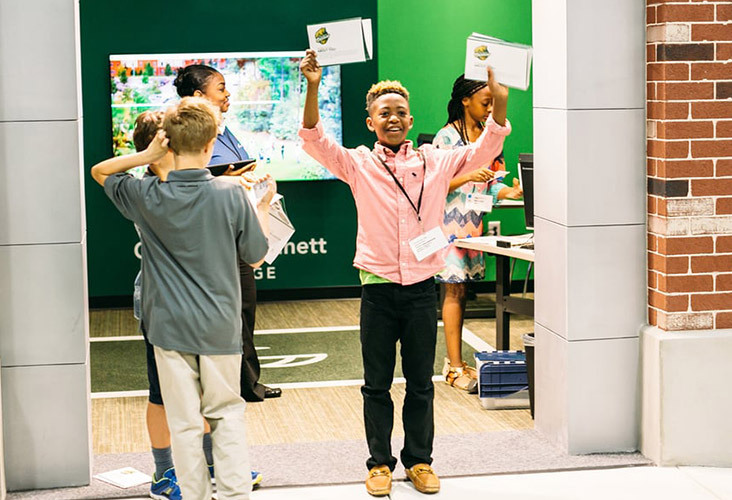 Working with Junior Achievement (JA) of Georgia, the HBS volunteers joined the young entrepreneurs at the Georgia World Congress Center in Atlanta for a program called JA BizTown, where students learn business concepts and skills through a simulated economy in which they create and run a company. 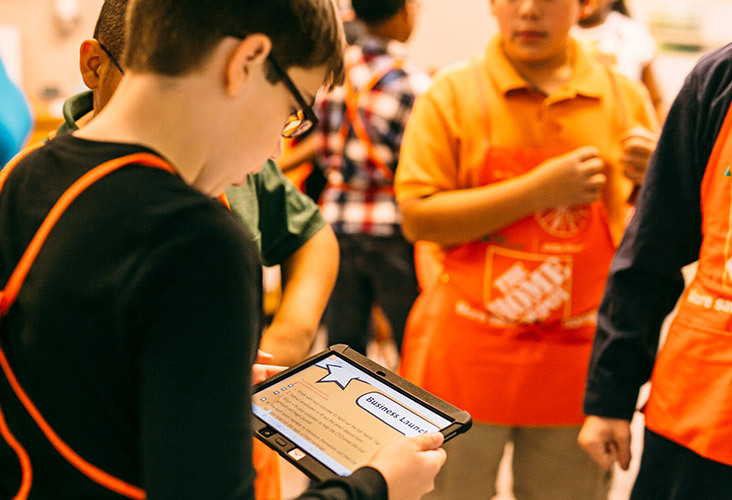 In the weeks prior to JA BizTown, students get instructions on how to start and operate a business. Overall, the day was a success, and Mallory is optimistic that the club will work with JA again. The HBS Club of South Florida and the HBS Latino Alumni Association co-sponsored an exclusive, sold-out Fireside Chat on February 4, featuring César Conde, Chairman of NBCUniversal International Group and NBCUniversal Telemundo Enterprises, and moderated by HBS Professor Henry McGee, former President of HBO Home Entertainment. 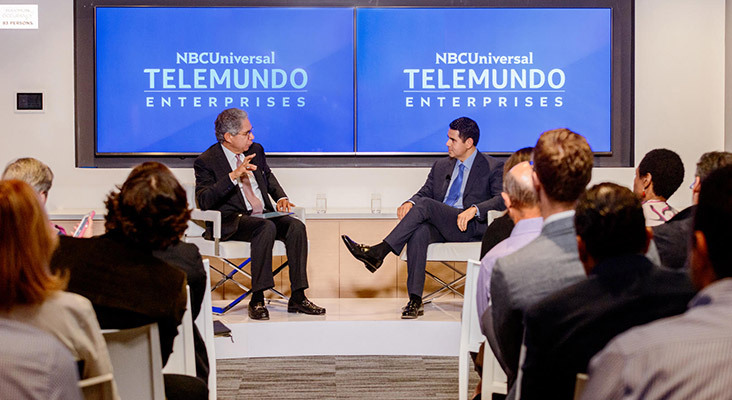 Held at the brand-new, nearly half-million-square-foot Telemundo Center, the new Miami headquarters of Comcast-NBCUniversal, the event started with a cocktail reception before guests were treated to a private tour of the massive media production facilities. Jaqueline Burgos (MBA 2014) opened the chat by introducing Professor McGee, a media industry expert and entrepreneur who was named one of the 50 most powerful African Americans in the entertainment business by Black Enterprise magazine. “Then we had a very lively discussion about the current state of the media industry in general and its future, as more non-TV delivery methods—like streaming to your phone—take over. 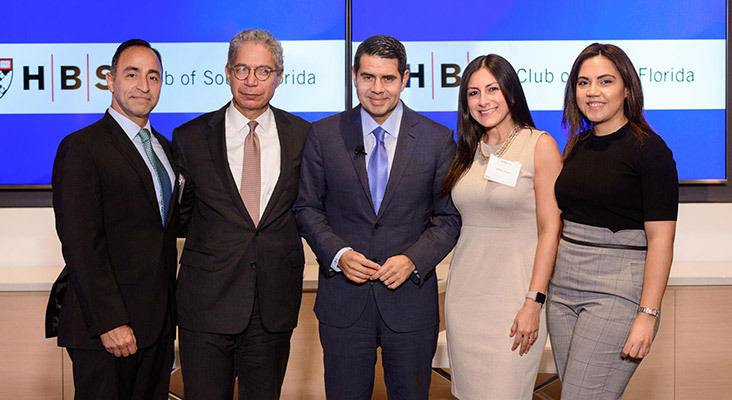 Professor McGee and Cèsar Conde gave some background on the economics of the entire industry and how the business model has changed,” says Luis Zuluaga (MBA 2001), who organized the event with Shirley Cardona (MBA 2012) and Lulu Curiel (MBA 2010). Zuluaga says Conde and McGee also referred to a recent HBS case that explored Conde’s role in making Telemundo the “fastest-growing network in the U.S.” Guests were able to read the case prior to the chat, which made the discussion quite substantive, according to Zuluaga. Under Conde’s leadership, Telemundo has become the leading Spanish-language network for the first time in the company’s history. He has overseen Telemundo’s transformation into an increasingly innovative media company, with an emphasis on original programming, reality television, sports, music, and news. Conde has also implemented an aggressive multiplatform digital strategy to reach tech-savvy consumers through streaming services, social media, virtual reality and programming partnerships. As a result, Telemundo has become one of the top networks in social engagement in the industry.